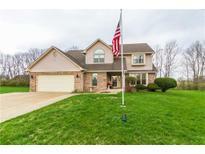 Find Mooresville, IN Homes for sale. 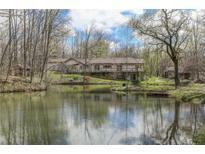 View Photos, Maps and MLS Data Now! Features multiple garages, central vac system, new furnace & A/C(2016), roof & gutters(2017), carpet on main level(2018), effluent pump(2017), Pella windows(2011). OPEN SAT, 4/20, 12-2P! 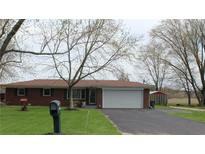 MLS#21633390. Keller Williams Indy Metro S.
Karrington Estates - Large back yard with 1 year old privacy fence and finished/conditioned approx 16x24 out building! MLS#21633811. Streamlined Realty. This home is a definite must see! MLS#21632592. F.C. Tucker Company. Nice size lot on dead end street. Mooresville address. but Plainfield schools. MLS#21633246. Carpenter, REALTORS®. Lakeside Commons - Put away the yard tools and snow shovel, pick up your fishing poles and head to Lakeside. MLS#21632713. Carpenter, REALTORS®. Brookmoore - Two car wide concrete driveway. Covered patio. MLS#21632922. Homes By Cheryl. The Detached (2) Car Finished Garage Is Heated With A Private Thermostat With Wall Cabinets And Work Stations And Great For The Wood Worker Or Car Enthusiast. MLS#21632738. RE/MAX Results. Home warranty to buyer for extra peace of mind. MLS#21632697. F.C. Tucker Company. Water heater 2 years old, roof and siding 8 years old. Heating 8 years old. MLS#21632714. RE/MAX Results. The roof was updated in 2012, windows in 2016, new kitchen cabinets and counter tops in 2017. MLS#21632278. RE/MAX Legends Group. 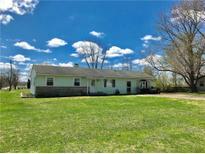 Grandview - Fenced back yard and mini barn complete this wonderful ranch home! MLS#21631762. Keller Williams Indy Metro S.
First time on the market * Recent updates to kitchen sink/faucet/counter top * Bay/bow window in the breakfast room * 2 sided stone fireplace creates a warm atmosphere in the space and separates the formal Dining Room from the great room * Dining Room has vaulted ceilings with patio doors out to open concrete patio which is 35' x 10' and is on the South side of the home * great room has bay/bow window and vaulted ceilings * master bedroom bath has a low curb shower for easy access * Extra large garage has 621 square feet * Exterior wood has been painted with Rhino paint * Large front wood deck patio is 25' x 10' * Lot dimensions are 129' street frontage by 178' depth * Great location for easy access to town or work * Stable area with very little housing turnover. MLS#21631926. Berkshire Hathaway Home. Continental Estates - Home has reverse osmosis system and alarm system that are included. Home warranty included! MLS#21631457. The Stewart Home Group. Because of unusual circumstances, this site for future happiness is available to you. MLS#21631891. Carpenter, REALTORS®. LOW LOW TAXES! Home warranty attached. MLS#21631018. Carpenter, REALTORS®. Extended drive way for extra parking outside. Low taxes and utilities! 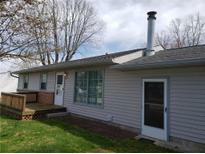 MLS#21630428. F.C. Tucker Company. 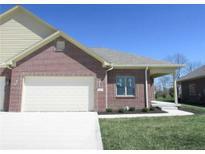 Hadley Highlands - 2 1/2 car Garage with a full length driveway for tons of parking! MLS#21630886. RE/MAX At The Crossing. 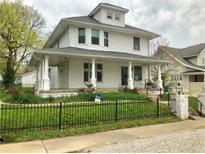 Highly desirable newer neighborhood shares less than 20 min commutes to downtown Indy and airport. MLS#21630010. 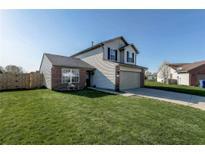 Keller Williams Indy Metro S.